Home › News › New report – How are schools developing the employability skills demanded by employers? New report – How are schools developing the employability skills demanded by employers? The report was launched in Central London on the 22nd November 2018. The event was chaired Caroline Roberts (City and Guilds), with the lead researchers joined by Dr Mary Bousted (NEU) and John Cope (CBI) to discuss the key findings. You can download the slides here. This new report – by researchers from Education and Employers, the Edge Foundation and the National Education Union with the support of City and Guilds – explores how schools are providing young people with opportunity to develop and exercise the vital skills and competencies employers have echoed in the past. Recent figures from both the Confederation of British Industry (CBI) and Department for Education have shown that, in the eyes of employers, the value of academic qualifications are decreasing, with businesses placing increased attention on the skills and competencies a young person possesses when looking to recruit. After completing schooling, young people face greater expectations from employers that they are work ready and greater competition for work from older, perhaps more qualified, workers. Once in employment, a growing number of employers have a changed sense of what they most desire from their employees: the new economy places much greater value on the ability of workers to be personally effective in applying their knowledge and skills in new situations. The report draws upon existing literature assessing the skills and competencies young people need to find work, and then thrive once there. The objective of this literature search was to create a collective view of the skills employers most commonly felt were needed in the workforce. The findings gathered from the literature formed the main discussion with professionals with first-hand experience of recruitment in large and small enterprises across private, public and third sectors. 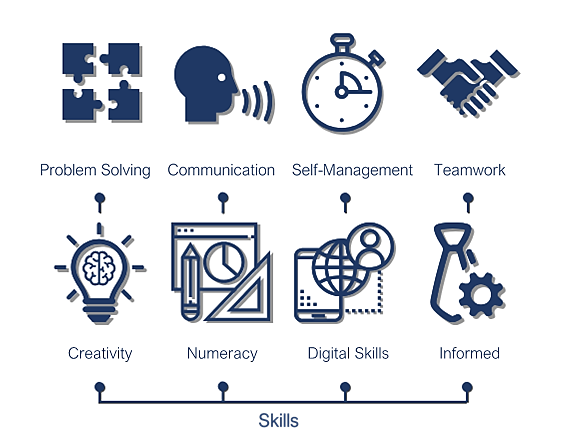 These skills and competencies have been brought together not as a new tool for measurement, but rather to aid schools in designing their curricular and extra-curricular activities to help young people make successful transitions to employment. The report also sets out the findings from a survey of 626 secondary school teaching staff based in England. The survey, completed by staff at independent, maintained and academy institutions, investigated how these skills and competencies were being developed in different school-based environments. It went on to explore how changes to the curriculum, at both Key Stage 3 and Key Stage 4, had impacted on the ability of schools to develop the skills needed in the 21st century labour market. 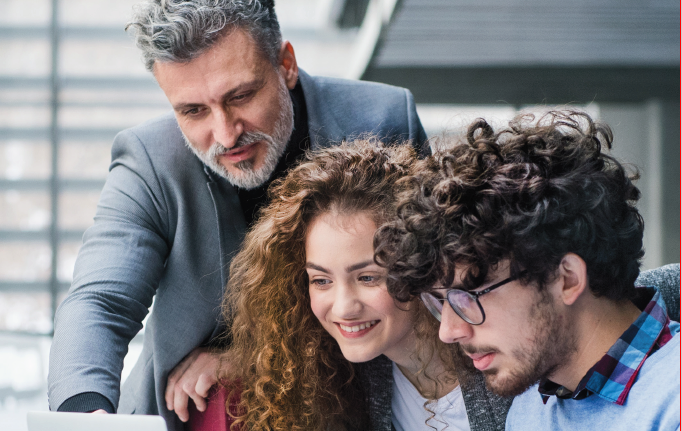 Across 21 studies identified through the review, eight employability skills and four ‘competencies’ were found to be most frequently cited by employers. Subsequently employers from a range of industries offered examples of how these skills and competencies can help young people during recruitment processes and at early stages of employment. Focus group attendees noted that these skills and competencies should be seen as ‘interdependent’, with certain skills and competencies growing and developing as others grow. They also acknowledged that the development of these skills should be supported by ‘meta-cognitive strategies’, in other words exercises to help students to re-contextualise them and apply them to new situations. From our survey, it appears teachers are evidently and resolutely setting about the task of supporting their students to develop these skills. Over 90% of teachers believe that the top five skills and two of the four competencies cited by employers are developed in school. The vast majority state that students have a range of opportunities to acquire and practise these skills through classwork and extra-curricular activities. Teachers believe that teamwork, confidence, communication, creativity and problem solving are the top skills and competencies developed through extra-curricular activities. Respondents also noted that communication, problem solving, team work, creativity and reflection are being developed through classwork. Teachers use lessons outside of the subject areas, such as tutor time, to help students with information about the world of work and to boost their communication skills. Other activities during the school day, such as interacting with peers, support the development of communication and teamwork skills. Teachers gave detailed examples of how school is making students more employable. Despite the work and effort schools are investing in developing and instilling these skills and competencies in young people, certain challenges such as time and resources affect the level of development. The research highlights that current Government policy, such as the narrower curriculum and increased content and exam-focus of GCSEs and A levels, are standing in the way of young people developing the skills necessary for working life. 32% of teachers told us that changes to the Key Stage 3 curriculum have been detrimental to developing the skills and attitudes needed for work. 56% of respondents to the schools’ survey feel that changes to the Key Stage 3 National Curriculum are limiting students’ chances to acquire creative thinking skills. 45% believe that young people have limited opportunities to develop their career development skills (we group these skills under the umbrella ‘informed’). Nearly half (47%) of teachers believe that there are fewer opportunities to develop employability skills and competencies since the introduction of the reformed GCSEs and A levels. Of these a third stated that changes to the syllabus had, for example, necessitated a new focus on rote learning to the detriment of developing the skills and attitudes needed for work. 66% of teachers felt that following the introduction of the new GCSEs and A levels there was less opportunity to develop creativity, with 61% stating there was less opportunity to develop teamwork. 55% of respondents believe the reformed GCSEs and A levels are not improving students’ confidence. We know from the extensive work our charity has undertaken over the last eight years that it is extremely beneficial for young people to interact with volunteers from the world of work. It not only helps broaden horizons and raise aspirations but also provides them with the vital work-related knowledge and skills which supports them as they move from school to work. Our charity’s aim is to provide young people with interactions with the world of work which can help them achieve their potential. Creating a joint dialogue between schools and employers can help make this a reality.